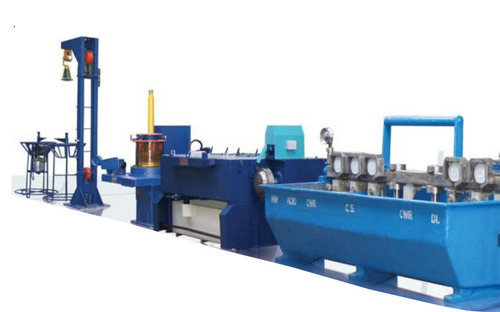 Assomac offers MIG welding wire plant - A high speed integrated Copper Coating line for high-speed continuous drawing and inline copper coating of solid welding wires. High Speed, high efficiency Belt Drive for sound less and maintenance free Transmission of power in Wet Drawing Machine. Solid Tungsten Carbide Drawing Cones for high service life and best quality wire finish. Copper coating tank made out of Stainless Steel or Fiber Reinforced Plastic and Poly Propylene material with five or six chambers and required heating arrangements. Cast Nylon specially engineered plastic pulleys for corrosion resistance in coppering tank. Adjustable Killing Rollers 11 or 13 each in Vertical and Horizontal planes for proper Cast and Helix both at BB Block and Spooler. Wire accumulation at BB- Block for continued working when spooler stops. 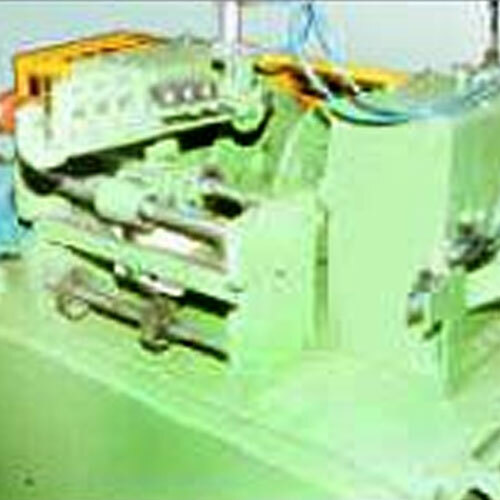 Pneumatic clamping of spools for faster working at the spooler. Traverse with Variable Pitch adjustment using A.C. Variable Drive or variable U-Hinge traverse. Complete plant controlled by one man using the centralized control station. Coating tank with ceramic pullies and fume enclosing top cover available optionally. 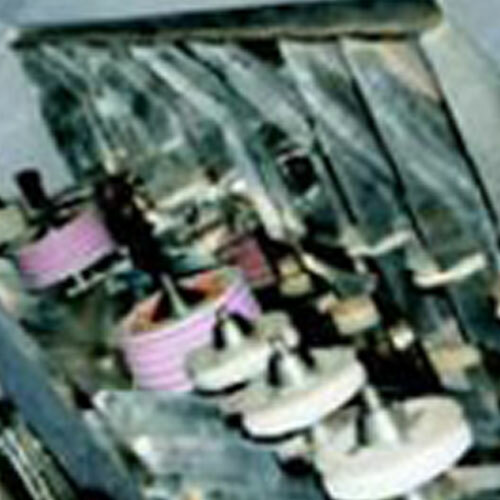 Drive Imported Timer Belts & Pulleys, Plain and V-Belts. Controls PLC Controlled or Synchronized A.C. Variable Frequency Drives Panel with Operator Console.